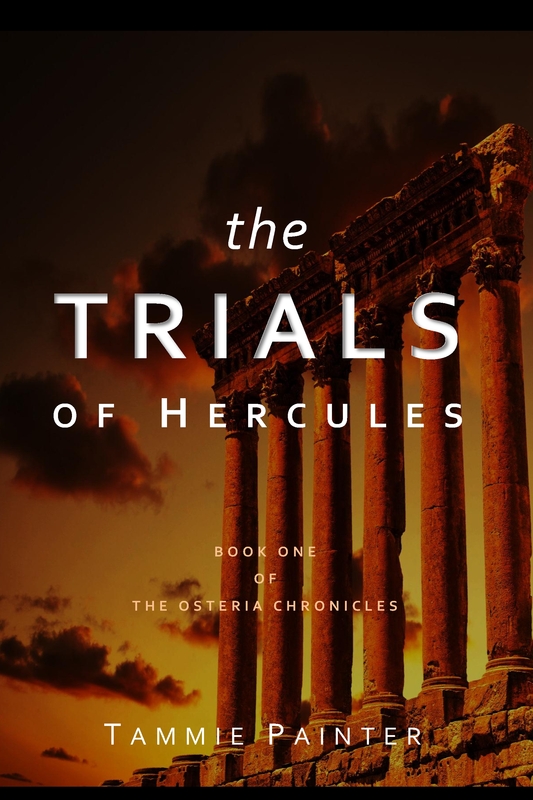 With the release date of The Trials of Hercules only 11 days away, I’m throwing out another sample of the how the legends of Hercules work into the first book of The Osteria Chronicles. This time we’ll take a peek at the sixth labor in which Hercules gets sent out to battle a flock of annoying birds. Doesn’t sound too bad, huh? Wrong, because Hitchcock had nothing on Ancient Greek storytellers. Hercules shows up to the swamp with no idea how to handle these birds. I mean, the damn things won’t even cooperate by coming out to give him a clear shot. Luckily, Athena steps in again. This is the third time she’s popped into his life to help him out. No, she doesn’t have a crush on him, she’s just the best half-sister in the world. Athena gives Hercules a rattle made of metal forged by the god Hephaestus. The sound of the rattle either attracts or gets on the birds nerves because within seconds they’re on the attack (anyone who has been around noisy kids’ toys can relate). With little trouble, Hercules uses his bow and arrows to shoot the birds out of the sky. Kind of a non-event, huh? All in all this labor is a bit too easy for Hercules, so in the Trials of Hercules I ratchet up the action as his cousin, Iolalus, bears the brunt of the birds’ attack. Rather than blathering on to you about how I’ve handled this labor in the book, I’m including the excerpt from The Trials of Hercules where Herc and Iolalus battle these pesky critters…. The moon is nearly gone by the time we get the horses through the mud at the swamp’s edge and to the boardwalk. Despite Herc’s protests that he should do it, I dismount and walk to the end of the wooden walkway. Although there are a few missing boards along the way, the massive pylons have held up well and the platform shows no sign of sinking or swaying. We tie the horses to the land’s end of the boardwalk before lying down on the slats. My back resists relaxing at first, but after several moments the muscles ease. I count ten shooting stars arcing across the black, moonless sky. What seems like only two heartbeats later, Herc is shaking me awake. The sky is just showing the light of dawn. I stretch and follow my cousin to the end of the boardwalk. He has already arranged the poison-tipped arrows so they’ll be easy to grab and notch in a hurry. We each ready an arrow in our bows and wait. Apollo pulls the sun up from the horizon and still we wait. My eyes threaten to close again as I focus on the hump of an island in the center of the swamp. “Should we walk out to it?” I ask lowering my bow and pacing a tight circle. I need to move before I fall asleep. “They’re attracted to noise,” a woman’s voice says from behind us. Herc whips around, his arrow aimed straight between her breasts. She glows in the morning light and wears a flowing white gown that emphasizes a small waist and full hips. At her shoulder perches an owl that regards me with curiosity. I drop to my knees on the boardwalk. “Athena,” I say. I hear Herc mutter an apology and half a moment later he is on his knees beside me. Her hand, which had been empty, fills with a baton. As the baton forms, chains emerge from the top of it. Thin metal plates appear at the end of half the chains and the other half are tipped with metal balls the size of large peas. She holds it out to Herc and, as he takes it, the plates and balls clatter against one another. He cups his hand around the chain to quiet the noise. “Why are you helping us?” Herc asks. I think the question a bit ungrateful, but my throat seems unable to make a sound. She laughs, the sound full of kind amusement. Herc’s eyes beg for more information from Athena. If I know my cousin he will have a hundred questions on his tongue and is sorting out which one to ask first. Athena cuts him off before he can settle on his choice. She leans in and kisses Herc on the cheek and then does the same to me. A flash brighter than sunlight reflecting off a mirror blinds me and makes me think that my heart really has exploded. By the time my vision clears, Athena is gone. I look to Herc. He appears different somehow. I hadn’t noticed before, but for most of the time since his trial he has been carrying himself with his shoulders stooped and his face drooping with remorse. Now, he has pulled himself upright into a true vigile’s proud stance with shoulders back and confidence showing through. Although he isn’t one to go around wearing a smile throughout the day, his eyes take on a new light. I notch my bow, aim it toward the island and nod to indicate my readiness. The dead quiet of the swamp is broken by the clanging of metal on metal, a tinkling sound at first, but as Herc twists it faster, the melodic chime becomes a grating noise. Like black lightning, the birds burst from the island cawing and screeching so loudly it drowns out the rattle’s harsh tune. I fire three shots in rapid succession, felling a bird with each one. The chains clank into a heap as Herc rushes up beside me with his bow at the ready. But the birds are already heading back to the island flying hawk-fast out of range. Herc sends off one arrow, but it misses its target by the distance of an eagle’s wing span. I pick up the rattle and twirl it. This is madness. One archer can’t possibly take on all the birds. As soon as the plates and balls clash together, the birds emerge again. Once they’re in range, Herc fires. A few arrows only nick the birds, but they fall from the sky nonetheless thanks to the poisonous effects of Lerna’s blood. Herc is knocking a bird from the sky with each arrow, but it isn’t enough. They’re honing in on the rattle. On me. Pain sears through me faster than my eyes can register that the birds have swooped in for an attack. Claws rip into my shoulder. Beaks peck into my hands. The whoosh of flapping, black-feathered wings swarms my head. I drop the rattle, but the birds continue their assault. The crow-like things overwhelm my vision so all I can see is blood and black. All I can hear are angry caws as they fight for position to drive beaks and claws into my face, neck, ears, head, and shoulders. I beat at the birds, pounding them with my fists, but this only diverts the attention of a few of them who stab their dagger-like beaks into my hands instead of my head. “Stop. Keep your hands down,” Herc shouts. Against all instinct, I lower my hands. Bird bodies smash up against my head but then begin falling away one after another. Once I can see light again, the remaining birds flap away, screeching at one another. At my feet lay seven of the devil birds, blood dripping out of them into the swamp. I kick one and then the other until the boardwalk is clear of the sight of them. In his hand, Herc holds his dagger. “You were stabbing at my head?” I yell. “It worked,” he says with a shrug. My face throbs with scratches and gashes, but I pick up the rattle, my hands shaking from pain and fear. The birds come again. The sound of their flapping wings makes me want to fling the rattle into the swamp and run. Using all my willpower, I hold tight to the noise maker and continue twirling it back and forth. The sky is no longer black with the birds’ wings and the devils now approach us more cautiously. I’m finally able count them. Twelve. I look to the stash of arrows Herc has left. Twelve. Herc’s first three arrows find the breasts of three birds in succession and send them splashing lifeless into the swamp. The fourth only grazes a wing, but the poison at the arrow’s tip is enough to kill the bird. The fifth arrow pierces a neck and the sixth punctures a leg. When Herc shoots his seventh arrow, the bird it’s intended for swoops down, diving under the arrow that continues its trajectory until the weapon arcs and pierces nothing but the surface of the murky water. Herc curses and, barely taking time to aim, delivers three more arrows into the sky. He takes out three more birds, but only with grazing nicks. Herc takes a deep breath and shakes the tension out of his shoulders. In the time his bow is lowered, the three remaining birds draw in closer. My hands tremble on the rattle. I try to hold it tighter, but my palms are sweating so profusely I can hardly keep a grip on the thing’s smooth surface. Every caw, every whoosh as a bird whizzes over my head makes me think all the flesh of my face will soon be in their gullets. Two of the three remaining birds fly in tandem toward us. Herc raises his bow, taking time to aim. I can see what he hopes to do, drive a single arrow through two birds. It isn’t impossible. I’ve seen him take down two ducks with one shot, but those had been placid waterfowl. These are war birds. The crows angle themselves to fly side by side. Herc takes the shot. Only one bird crashes into the swamp as the other swoops aside giving out a laughing caw. One arrow, two birds. Herc hesitates and they careen toward us. He doesn’t respond. Instead, he holds the final arrow taut in his bowstring, watching along the arrow’s shaft as the birds narrow in on us. Two beaks and four claw-filled feet dive in. Five arm lengths. Four arm lengths. My raw skin screams at me to run, to cover myself from another attack. Three arm lengths. Two arm lengths. “Behind me now,” Herc commands. Still clutching the rattle, I dash behind Herc. The birds, forced to change their direction to aim at the metallic clang, cross in front of one another. Herc fires. As if all the world has slowed, I watch the arrow. The poisoned blood at the tip seems to flame red as it pierces through the lead bird’s breast. The second bird adjusts its wings’ angle to steer away and avoid the body of its companion. The proximity and force of the shot forces the arrow through the chest of the lead bird, driving the body of the creature back. Before the rear bird can swerve away, his companion’s carcass barrels into him. The protruding arrow tip slips into and through the bird’s neck. Both birds drop onto the boardwalk, skewered on the final arrow. Herc places his hands over mine. In my panic I’ve continued to twirl the rattle. His hands stop my twirling and all is quiet. After so much noise, the silence overwhelms my ears. Blood trickles across my cheeks and neck as my limbs shake. I meet Herc’s eyes. He turns, a look of worry crosses his face as he sees the damage the birds have done to me. In an instant, he drops his bow and pulls me to him in a tight hug. Want more Herc? Then head over to The Trials of Hercules page to download the first three chapter of the upcoming novel.